It’s the great dilemma for Catholics. We know that we are to share Christ. We are to go into the highways and byways and even into the Internet superhighway and tell the world about Jesus Christ and His Church. But we don’t know what to do about that troublesome word: proselytizing. 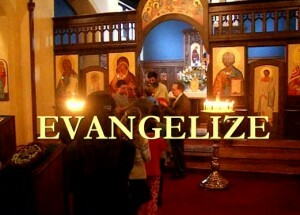 Evangelism is good. Proselytizing is bad. So, what’s the difference? One of these things we must do — it is the reason the Church exists according to Evangelii Nuntiandi. Furthermore, Blessed John Paul II said, “No believer in Christ, no institution of the Church can avoid this supreme duty: to proclaim Christ to all peoples” (3 Redemptoris Missio). We have been given the mandate from Christ and the Church. 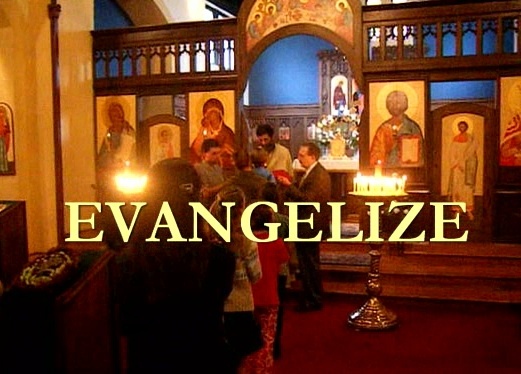 We must evangelize. But we also know that we must not dabble in proselytizing. The difference has everything to do with motivation and the application of one’s zeal. I think that women hold the key to implementing one without dabbling in the other. Women are typically successful in turning the hearts of family and friends to faith. How do we do it? We do it by giving of ourselves. We do it because we know how to live the faith and speak the truth in love. It’s what we do day in and day out. We guide our children, sometimes rather firmly. But always, always with love. We love until we have nothing else to give — physically, spiritually, financially, psychologically. We do not seek to strong arm or wear down an opponent. In fact, we don’t see others as our opponent at all. They are our children, our grandchildren, our dearest friends. Our actions speak of love. We are forever saying, “Kiddo, you know I love you, but this is just not good for you. Let me show you a better way.” And because we have shown our family and friends much love, we have capital to draw upon when our conversations take a serious turn. Our families and our friends know that we love them. That means our words have staying-power. Sometimes, that staying-power lasts long after we have gone into eternity. Our loved ones remember what we did – and that’s why they remember what we said. This is Mary’s way. She shares Christ by giving her life. She pours out her life and holds nothing back. Mary holds the key to the New Evangelization. Mary would never understand the language of proselytism. It wouldn’t make sense to her. Why settle for arrogance when one can become a libation? Why employ mental one-upmanship when love always triumphs? Why belittle when one can elevate? This is how God is glorified. This is how hearts are won over. This is Mary’s way. Right now, the Church is in a crisis. So many have walked away from the Sacraments or refused to join us when we converted to the Catholic faith. We’re all hungering to know how to win souls for Christ. We know, on some level, that they will never respond to proselytizing. We’ve always known it, though we have often dabbled in it out of frustration. Mary whispers to us: Come and learn from me. Watch me. Feel what I feel. Desire what I desire. Share what I share. Risk everything as I risk everything. Share Jesus Christ like it’s what you were born to do – because it is what you were born to do. The rest is trappings. Momentary distractions at best. Bullying at the worst. And so, we pause. We say okay. We are willing to learn. This is how a family finds their way back to Christ. This is how a parish is renewed. This is how a diocese rises up and changes the course of a nation. By the power of one fiat. Your fiat. Not possible, you say? It’s totally possible. We know it’s possible because we are not reinventing the wheel. Come. Let us journey with Mary and prepare our hearts for the Advent of Our Lord.